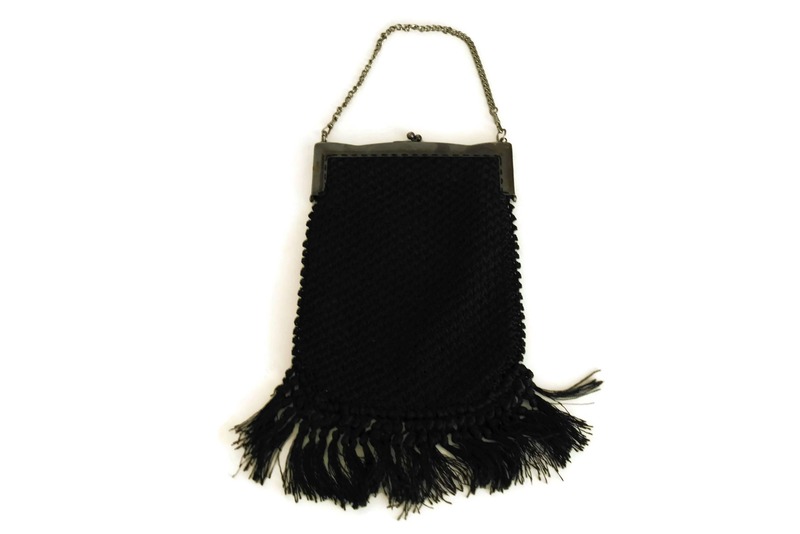 Black Crochet Purse with Tassels and Chain Handle. 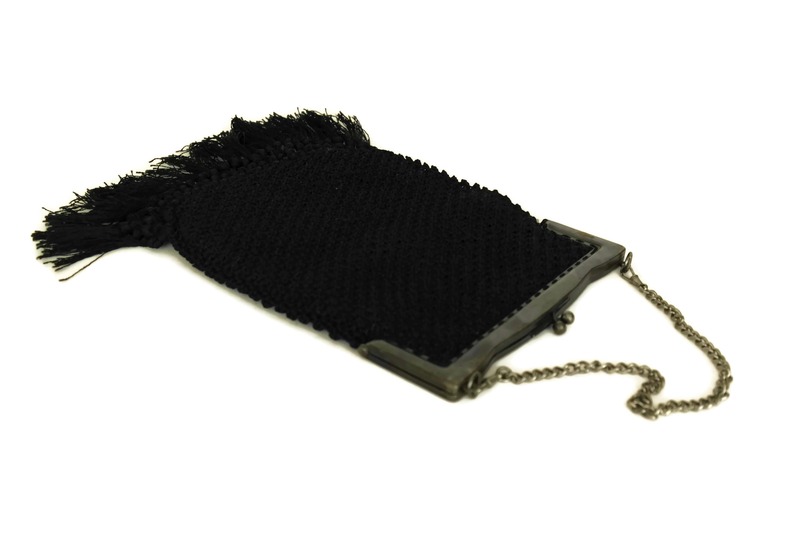 French 1920s Fashion Evening Bag. 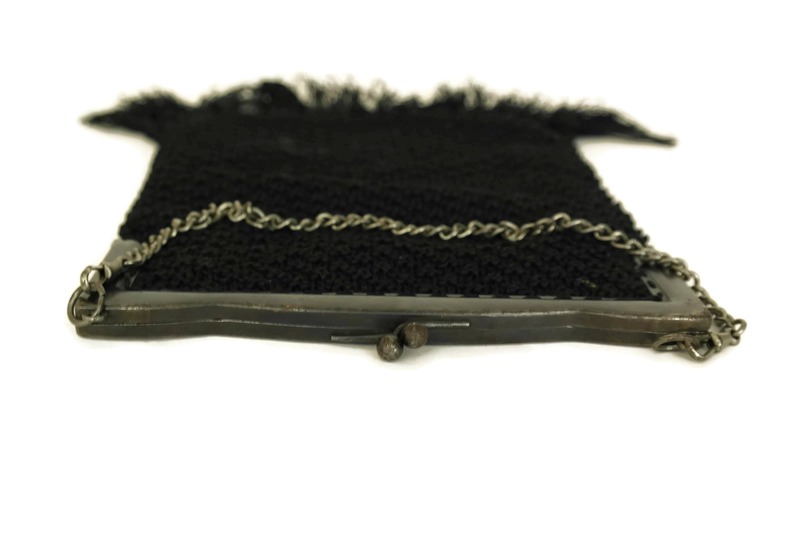 Vintage Boho Handbag. 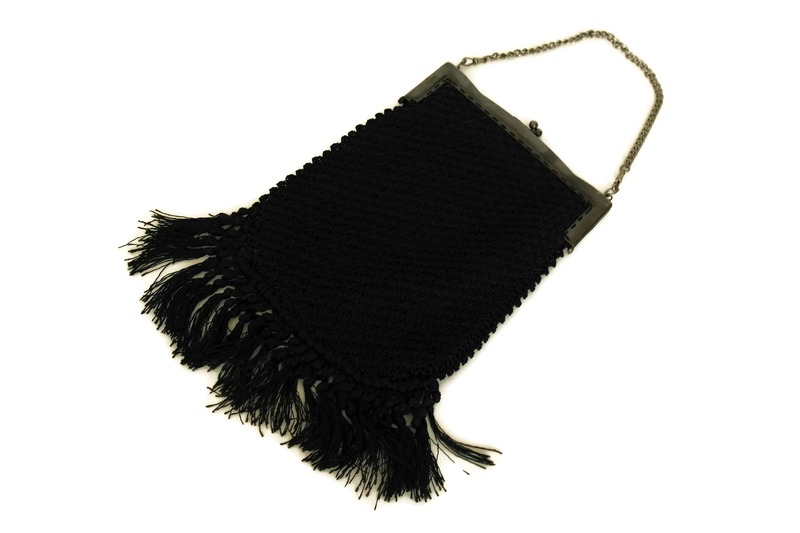 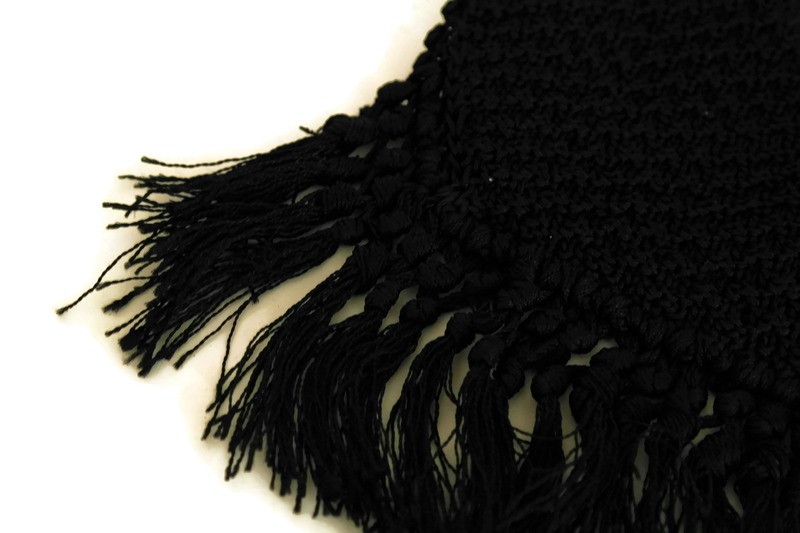 An elegant black crochet purse with tassels from the 1920s. 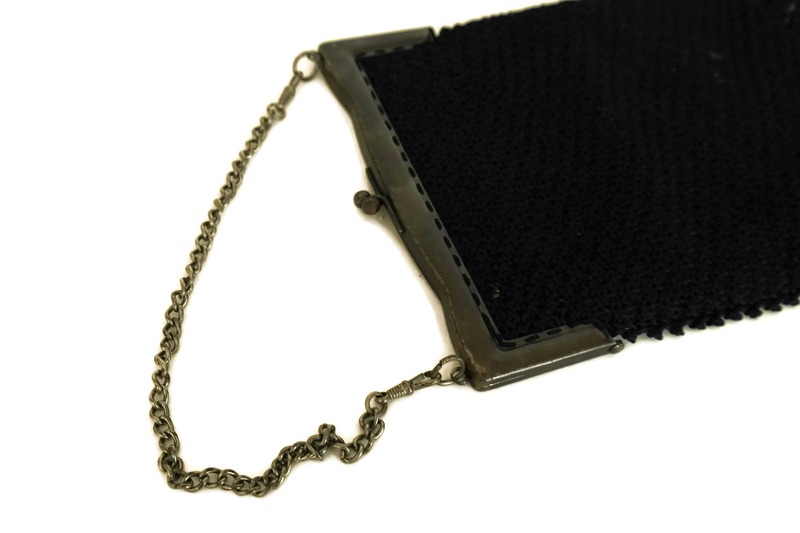 The French fashion evening bag features a metal frame with a chain handle. 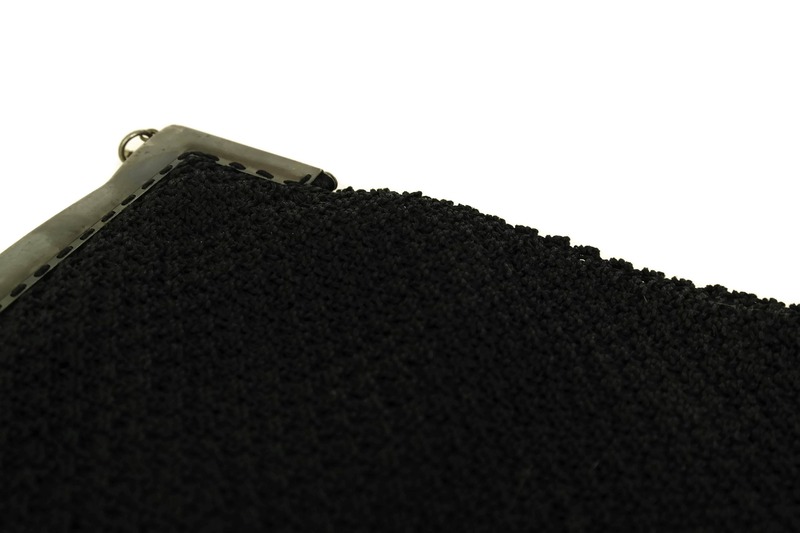 The black handbag has a long silhouette and will sit perfectly on your wrist. 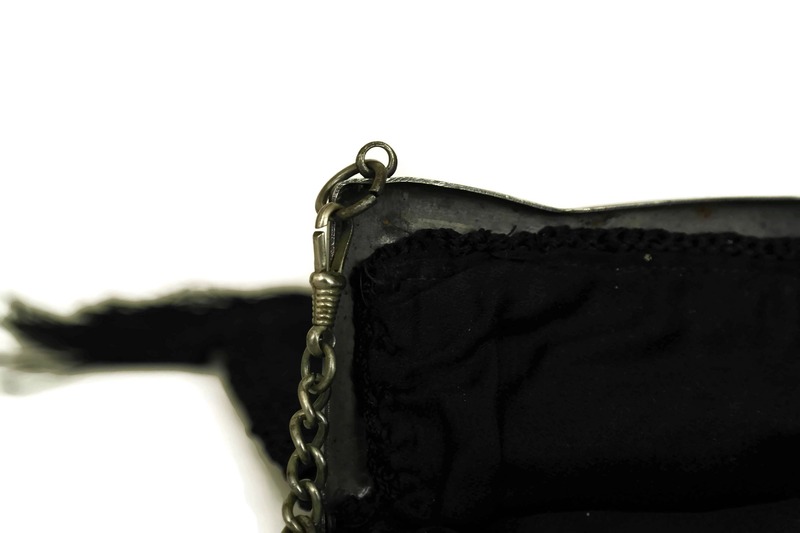 The purse (excluding the handle) is 12" long x 7" tall (30 cm x 18 cm). 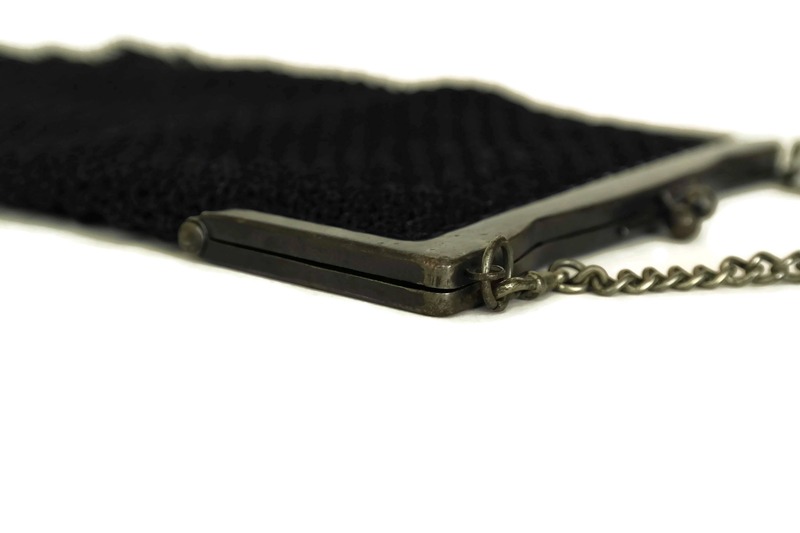 The handle is 6" tall (15 cm). 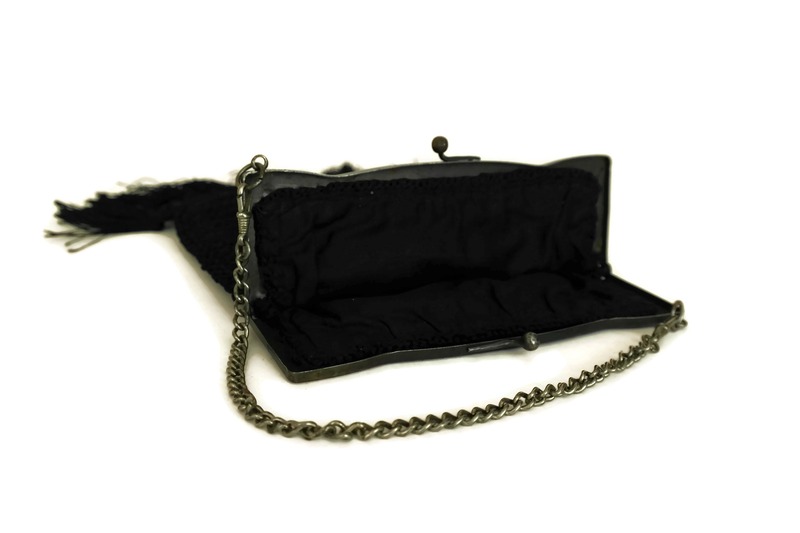 The purse is in very good vintage condition with light wear and patina to the metal frame and chain handle.